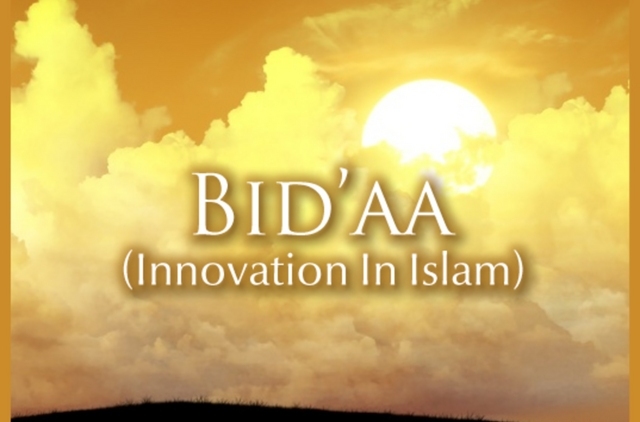 The issue of Bid`ah or innovations in religion is a hotly debated one in current times. It has been argued, sometimes with much vigour and polemic that practises in the religion of Islam that were not current at the time of the Prophet sallallahu alayhi wa sallam or his companions and should be rejected and could even lead to kufr or disbelief. It has been the opinion of the vast majority of the Ulama throughout the ages that there is Bid’ah is of two types, that which is permissible, and that which is not. It is the purpose of this article to reiterate the correct position, that innovations or newly introduced practises in the Din of Islam can not only be permissible, but also rewarded, hopefully providing clarification to the many people who have been confused about the issue. The word Bid`ah in Arabic is derived from the root word Bada`ah, literally meaning to create a new thing without precedence. It is synonymous with the word Khalk that means to create something out of something else. The attributive name Al Badi is also derived from the same root to denote Allah as the Creator of things that had no previous existence. In the Qur’an Allah is Badi ussamawaati wal ard i.e. the Creator of the Heavens and Earth (out of nothing). Therefore, in its literal sense, the word Bid`ah has no negative connotations, it plainly refers to anything that comes into existence that is novel or not previously known. In the technical sense, in the way it is used in the Shariah it means an addition to the Din of Islam that was not known or practised at the time of the Prophet sallallahu alayhi wa sallam or his companions. The concept of Bid`ah in the Qur’an. As for monasticism, they invented it themselves, for we had not enjoined it on them, seeking thereby to please Allah; but they did not observe it faithfully. 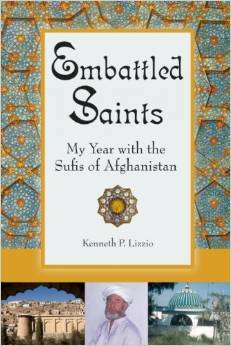 We rewarded only those who were truly faithful, but many of them were transgressors. The word ‘invented’ used in the above passage is a translation of the Arabic word Ibtada’uha which literally means ‘they made a Bid’ah.’ The verse tells us that monasticism (Rahbaniyat) was instituted by the followers of the Prophet Isa alayhi salaam after him as a new act, as a Bid’ah, for the purpose of seeking the pleasure of Allah. Allah does not condemn this act but rather tells us that after its adoption it was not followed properly. It is clear that this verse contains an implied permission granted to them for this new act. If one reads the words carefully, it is apparent that if Allah were condemning the new act, then there would be no need to remark that they did not observe it faithfully. Having introduced this new act of monasticism, they should have fulfilled its conditions and requirements to achieve the purpose for which they had adopted in the first place. Instead Allah condemns those who, having adopted monasticism, did not perform it in the proper way: but many of them were transgressors. In fact not only was the new act permitted, but it was also rewarded, as the verse tells us: We rewarded only those who were truly faithful. In the context of the preceding part, this would refer to those who were true believers and fulfilled the conditions of the new act and thus achieving the target of seeking thereby to please Allah. There is an important point to consider here. The practice of monasticism has been abrogated and cancelled in Islam, but the principle contained in this verse of the acceptability of a new act performed with the correct intention and fulfilling certain conditions is not abrogated, but remains. The new practice introduced for the pleasure of Allah, in the principles of Islamic jurisprudence becomes a Bid’ah of guidance; that which violates the laws of Shari’ah becomes a Bid’ah of misguidance (see later). The concept of Bid’ah in the Hadith. Whosoever introduced a beneficiary action in Islam will be rewarded for his practice as well as for the practice of the people who follow him, without lessening their reward. Whosoever introduced a bad practice in Islam will take the sin for it as well as the sin of the people who follow him, without lessening their sin. (Muslim). This hadith which is of sound classification is very clear and unambiguous and is a foundation for proving the validity of good innovations in Islam. The criterion used as to whether or not a new action is accepted is that it should be hasanah, or beneficial. If the action is beneficial then there is an immense reward for it.. New introductions that are bad are punished severely. Scholars of Islam, as will be seen later have derived the conditions for a new act to be considered beneficial or bad. Although the context of this hadith relates to a specific incident during the time of the Prophet sallallahu alayhi wa sallam when some companions came forward to offer charity to some poverty-stricken new arrivals at Madinah, the meaning is general. It is not permissible to claim that this Hadith applies only to charity as a general term was used: Whosoever introduced a beneficiary action in Islam. The Prophet sallallahu alayhi wa sallam did not restrict the reward to ‘He who spends in charity.’ It is the rule among the scholars of Islam that if an ayah of hadith was revealed for a specific incident or reason yet a general term were used in it then its application would be general and not restricted to that incident. I command you to have Taqwa, and to be obedient to those appointed leader over you, even if it be an Abysinnian slave. O my companions, those who live after me will, very soon, see a lot of differences among you. 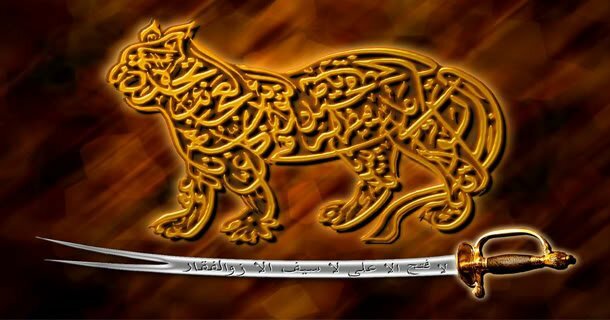 Stick to my path and the path of the Rightly Guided Khalifas. Abstain from innovations, for every kind of innovation is a Bid’ah, and every Bid’ah is misguidance and all misguidance leads to hellfire. O people, you will be gathered on the Day of Judgement in the same way you were born (naked). The first person to be given the dress of the hereafter will be Hazrat Ibrahim. Some people from my ummah will be brought in front of me, and taken toward hell. I will recognise them and I will say, “These are my companions.” An angel will say, “Don’t you know what kinds of disruption (Ihdasa) they committed after you? Although they embraced Islam in your life, soon after your demise they became apostates and turned towards kufr. He who does an act which our matter is not (in agreement) with, will have it rejected. The concept of Bid’ah according to Scholars of Islam. The vast majority of the classical Scholars of Islam make a distinction between innovations that are acceptable, that may be called innovations of guidance, and those that are not, that may be called innovations of misguidance. Imam ash-Shafiyy wrote, “There are two kinds of introduced matters. One is that which contradicts a text of the Qur’an, or the Sunnah, or a report from the early Muslims, or the consensus of the Muslims: this is an innovation of misguidance (bid’at dalala). The second kind is that which is in itself good and entails no contradiction of any of these authorities: this is a ‘non-reprehensible innovation’ (bid’a ghayr madhmuma).” (Ibn Asakir, Tabyin Khadib al-Muftari (Damascus, 1347), 97, tr. Abdul Hakim Murad. Similar definitions have been expounded by other great classical scholars, such as Imam al-Bayhaqiyy, Imam an-Nawwawiyy, and Izzudin Ibn Abdus-Salaam and Hafiz Ibn Hajar al-Asqalaniyy, among others. Izzudin Ibn Abdus-Salaam (one of the greatest mujtahids) categorised innovations into five types: the obligatory (wajib), the recommended (mandub), the permissible (mubah), the offensive (makruh), and the forbidden (haram). Quoted in Muhammad al-Jurdani, al-Jawahir al-lu’lu’iyyah fi sharh al-Arba’in al- Nawawiya (Damascus, 1328), 220-1. Among the obligatory innovations Ibn Abdus-Salaam cites the following examples: recording the Qur’an and the laws of Islam in writing at a time when it was feared they would be lost, studying Arabic Grammar in order to resolve controversies over the Qur’an, and developing philosophical theology (kalam) to refute the claims of the Mu’tazilites. Under recommended innovation come activities such as building madrassas, writing books on beneficial Islamic subjects, and in-depth studies of Arabic linguistics. Permissible innovations include worldly activities such as sifting flour, and constructing houses in various styles not known in Madinah. Reprehensible innovations include overdecorating mosques or the Qur’an. The category of forbidden innovations includes unlawful taxes, giving judgeships to those unqualified to hold them, and sectarian beliefs and practices that explicitly contravene the known principles of the Qur’an and Sunna. Innovations of Guidance and Innovations of Misguidance.